Across the U.S. states are recognizing the value of authorizing pharmacists to prescribe in order to increase access to important medications. This authority exists somewhere along a continuum and is either dependent (delegated through a collaborative practice agreement) or independent (authority comes directly from the state, no delegation required) authority. To learn more about the continuum of pharmacist prescriptive authority, check out this article in The Annals of Pharmacotherapy. 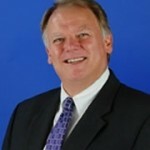 To learn more about Collaborative Practice Authority, click here. 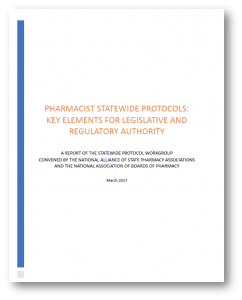 The term statewide protocol refers to a framework that specifies the conditions under which pharmacists are authorized to prescribe a specified medication or category of medications when providing a clinical service. Statewide protocols are issued by an authorized state body pursuant to relevant state laws and regulations. Each protocol specifies the qualifications required for pharmacists to implement the protocol and the procedure(s) that must be followed. Generally, statewide protocols address identified public health problems and are used for patient care needs that do not require a new diagnosis or for which a documented diagnosis is known or readily available. 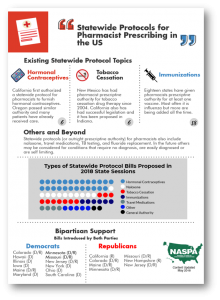 Sample legislation, objection handler, current authority, and 2018 proposed legislation. It’s not just pharmacists who think it makes sense to expand pharmacy scope of practice restrictions and allow pharmacists to prescribe. Click below to see some of the many examples supporting the concept. Please let us know of other publications we should add to this collection. Linked below are resources focused on a specific category of medications that pharmacists prescribe. Since I have seen NASPA from both sides as an Executive and now an Associate Member, I think NASPA provides such a wide array services that are very beneficial to both State Executives and Associate Members. I appreciate everything that NASPA provides.